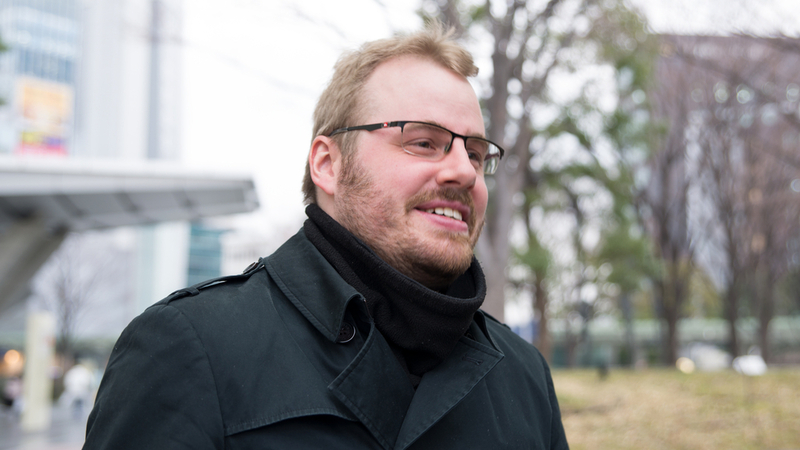 Tim Oliver is an iOS engineer originally from Australia. He is currently on the Mercari Mobile Product Team, and is overseeing feature development of the Mercari Channel service. 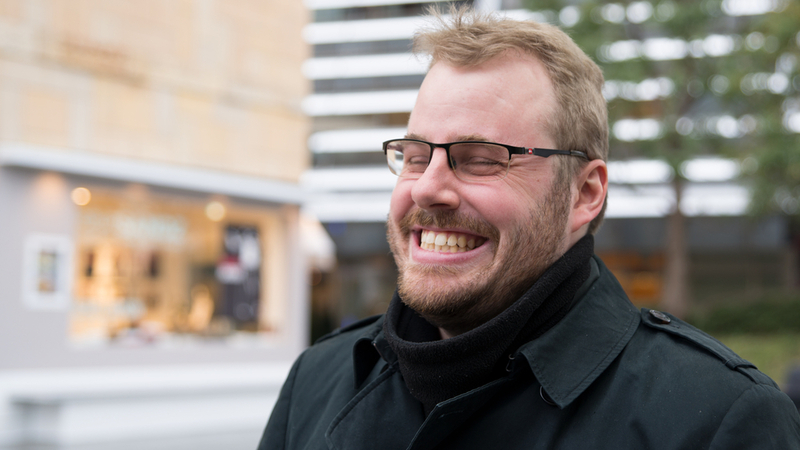 Outside of the office, he also works on several side projects, including a comic reader app. In addition, to share Mercari’s technical stack and research, he has traveled domestically and abroad, presenting on the company’s behalf. His efforts have been recognized for their contribution to increasing Mercari’s presence abroad, which led to him winning Mercari’s quarterly “Go Bold” award for the July-September 2018 quarter. 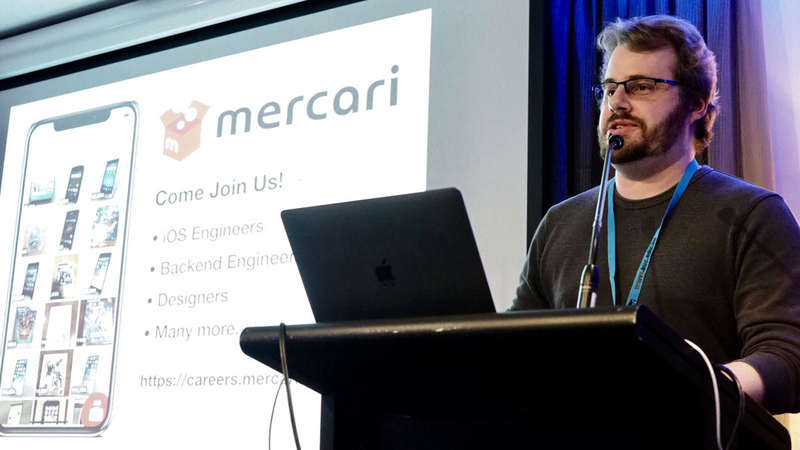 With engineering at Mercari, working on his side projects, and presenting at events in between, it was hard to get a word in edgewise. 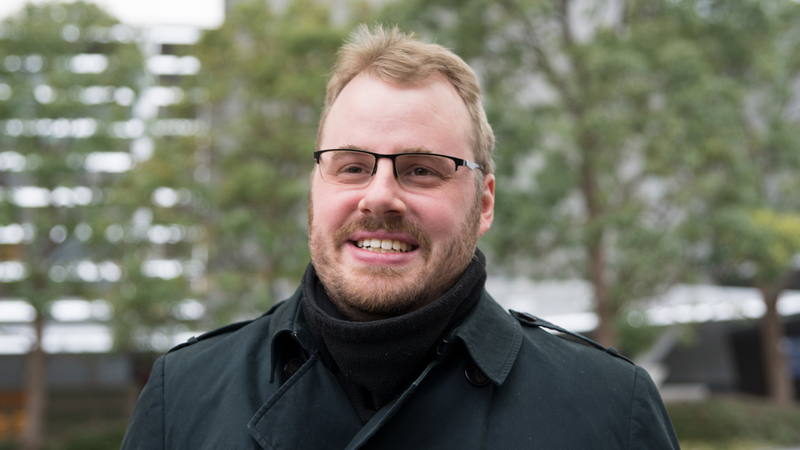 But we managed to sit down with Tim and ask him why he chose to work at Mercari, and to a greater extent, what he found appealing about Japan. We also asked about his career up to this point, and his vision for the future. ーFirst of all, can you please tell us about how you decided to become a software engineer? Tim： I’d been interested in computers for a very long time. Here’s a photo my dad recently sent me. Tim：Yeah! It was the first Mac I ever got to try: a Macintosh SE. 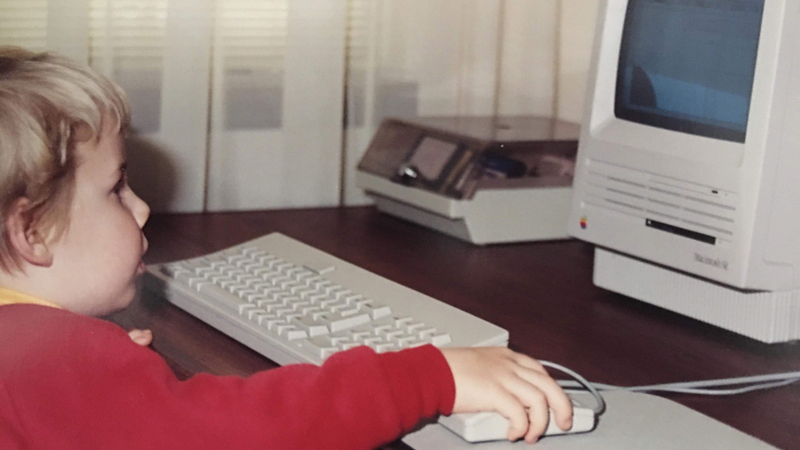 When he sent this photo, Dad said, “You’ve always been sitting in front of a computer since the beginning, haven't you, boy?” He definitely wasn’t wrong. I’ve been fascinated with what’s possible when you have a computer ever since then. For most of those earlier years, I was really interested in becoming a game developer. But after graduating from university, it was more realistic in my hometown to become a web developer. I initially became a frontend web engineer, and played with game development in my free time. ーSo your original career goal was to become a game developer then? Tim： Yes, that’s right. But that all suddenly changed when the iPhone 3G was released. ーWhat exactly do you mean? Tim：The launch of the iPhone 3G (and by extension, the App Store) was incredibly profound to me. This was the first time I had ever seen so much potential in such a portable device. It was tiny computer with a constant internet connection that I could keep in my pocket, AND for which I could write my own software. I was very excited about this, and so in my free time, I started to study how to code for iOS. Since that time, I’ve been writing iOS apps as an extreme Apple fanboy. Tim：While my family has been a fan of Apple since the 1970s, I probably only became a fanboy of Apple for the last 10 years with the iPhone. It’s at the point where the other engineers have even called me a fanboy. While I work on Mercari’s iOS app at the company, I also spend a lot of time on my own side projects. The comic reader app I’m building has let me test out and validate a lot of software ideas, which I can apply back to what I do at work. I’m always thinking about this kind of stuff. ーI imagine there are plenty of engineering jobs in your home country, Australia. How did you end up choosing to come to Japan? Tim：On account of my dad’s work, my family moved to Japan briefly when I was still in elementary school. We had an absolutely fantastic time living in Japan, and we fell in love with the country. The first Japanese company at which I worked full-time was an illustration social media service called pixiv in Tokyo. While I was developing the first version of my comic reader, I tweeted out if anyone would like to beta test it. A friend of a friend who was working at pixiv volunteered for it, and then next time I traveled to Japan, he invited me to come check out the pixiv office. As I was visiting the office, my friend introduced me to Hirohisa Tamonoki (current Mercari Japan CEO), who was CTO of pixiv at the time, and he invited me to come work at pixiv for a while.After pixiv, I returned home to Australia, where I started working for a San Francisco tech startup called Realm. ーBefore you joined, had you heard much about Mercari? Tim： I first heard about Mercari while I was still at Realm. I attended a Mercari US meetup event while I was traveling to San Francisco for a conference, and I later started meeting many Mercari engineers at Realm meetup events. When I asked about what the Mercari service was, the general idea I got was “a service for buying and selling secondhand goods.” I thought this was a very Japanese concept. ーI suppose that resonated with you after having lived in Japan. Tim： When I was applying to Mercari, I was also looking at potentially applying to a few other companies in the same area. But one of the main reasons I decided to choose Mercari was that it was the youngest. What I mean by this is that when I looked at a lot of the other companies, because they were much older and bigger, they were entrenched in their current codebases and legacy architectures. In terms of personal growth and knowledge gain, Mercari sounded much more modern and cutting-edge. While I knew those companies might be “safer,” I decided to go with Mercari because it seemed more exciting. ーAs an engineer, would you say that you’re always looking for challenging projects? Tim：Yeah, I would say so. Something I found quite surprising when I joined the company was how vastly separated the members of the iOS and Android engineering teams are. We still meet for periodic meetings and team-building events, but during a normal work day, we’re all allocated to separate projects. There’s no real dedicated section for us in the office; we’re spread out everywhere. Compared to the smaller companies I’d previously worked at, I found this quite a stark contrast. ーDo you think that’s a good thing? Tim： I think it is. Breaking the engineers up this way means we can work much more quickly on the individual components of the product than we could if we were all together as one absolute unit. Recently, we also went through a restructuring where the Android teams and iOS teams were merged into a single “Mobile Team.” I really like this, since it means I get to work closer to the Android members, and we are able to share more of our general software processes and resources as well. Why share knowledge from Japan as an Australian? ーTim, you’ve also taken it upon yourself to present on some of Mercari’s tech research at a conference overseas. Can you talk about that? Tim： During the time I was working at Realm, I was invited to participate in a new iOS conference starting in Japan called try! Swift. I found try! Swift to be deeply enlightening since it showed me something I’d never considered before. try! Swift brought over some of the most brilliant engineers from Silicon Valley; not only that, they also brought in interpreters, which meant that for possibly the first time, some of Japan’s finest engineers and Silicon Valley’s finest could finally talk face-to-face.I thought this was incredibly profound because it made me realize that a lot of Japanese engineers are doing amazing research into the iOS platform, with their own Japanese perspectives yielding some results that might not have been obvious to Western developers. ーWould you say that even though there’s a lot information being shared from America and other English-speaking countries, there’s not a lot coming from Japan? Tim： I think so, and the biggest reason for that is the language barrier. Because these platforms came from a primarily English source, there’s an inherent additional barrier to entry for people who are not from English-speaking parts of the world. And while I’ve met quite a few Japanese engineers who have amazing English skills, I don’t know many English-speaking engineers who can return the favor, making the ability to exchange ideas quite hard. I’m hoping that with the position I’m in now, coupled with my English and Japanese skills, I can help serve as a bridge for these flows of information. ーSo why exactly you are you so interested in this knowledge coming from Japan? 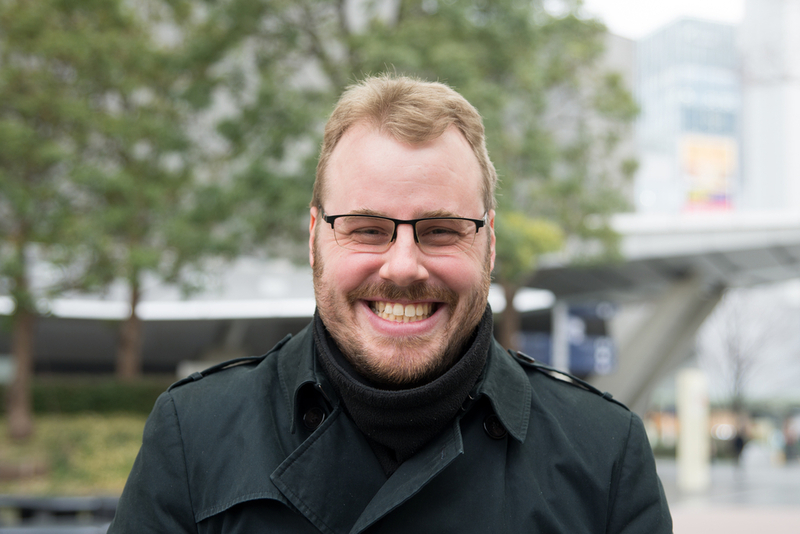 Tim：Since coming to work in Japan, I often hear, “Woah, Silicon Valley is cool!” and, “Living overseas sounds great!” While I can personally confirm the overseas bit, I actually don’t really feel like there’s any difference between the tech scene in Tokyo and Silicon Valley. 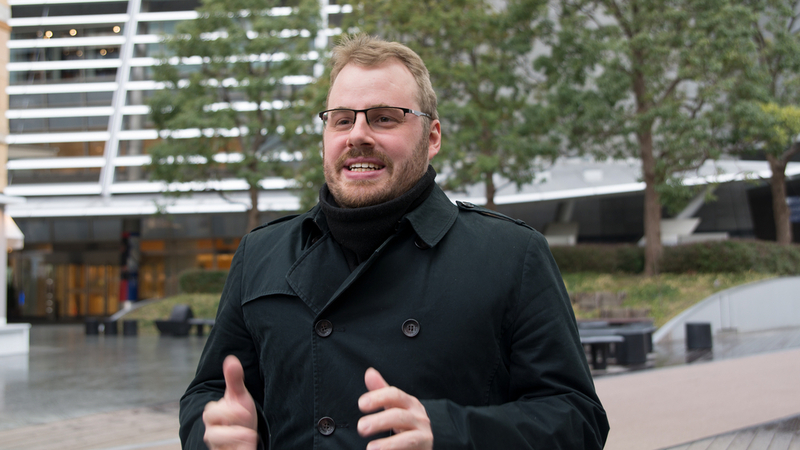 If anything, it looks like more and more global tech companies are starting to come to Japan. That being said, the mindsets, backgrounds, and approaches taken by people in tech might differ, but that just adds value to sharing this knowledge. ーIt’s certainly true that you should consider how things differ vary from country to country. Tim：I think it would be a shame if all of that research and tech we’ve developed stayed hidden. I was very happy to be able to go and talk about it at some developer events, and I was incredibly happy that I was even able to travel to my home country on behalf of the company. I would love it if I could contribute to Australian and Japanese relations and help bridge the two countries. ーWhy do you say that? Tim： Both countries have a very high level of technological research (though Japan is definitely much higher! ), but I don’t think there is a lot of information exchange. I would definitely say this is a similar problem to running into the language barrier. Even still, with the two countries being in the same time zone, they feel very close; it’s that sort of thing that could encourage Japanese people and Australians to work in each other’s country. That being said, Mercari doesn’t exist in Australia, so the first step would be to increase our presence. It’s difficult, but that’s why it’s interesting! ーLike you said earlier, Mercari is continuing to grow as a business and as an organization. As an iOS engineer, what do you want to do the most? Tim： The rate at which the company has grown is something I don’t think many other companies have actually experienced before, and we’re definitely trying to manage it in an unconventional way. We have product managers, engineering managers, and tech leads who are all contributing to that. But at the same time, we want to keep the core and the spirit of the company like a startup. It’s not easy, but that’s why it’s interesting. ーYou could say that’s a new challenge, couldn’t you? Tim：Yeah, I think so. Even though the company is comprised of many people in vastly different fields, we’re all working together to create this massive service known as Mercari. Making a service at this scale is thrilling, and it motivates me to make it a fantastic experience for all of our customers. Originally from Australia. Majored in digital media at Edith Cowan University. After working at pixiv Inc., he oversaw Cocoa development at Realm, a San Francisco startup. Joined Mercari, Inc. in February 2018. Currently a member of the Mobile Team, where his work includes developing Mercari Channel.